As a woman who has never strayed far from the technology business, Maggie Philbin is still quietly carving out a noteworthy role in the digital sector. If she is not instantly recognisable to the generation who watched Multi-Coloured Swap Shop, she is known for her long-serving role as a presenter on Tomorrow’s World. 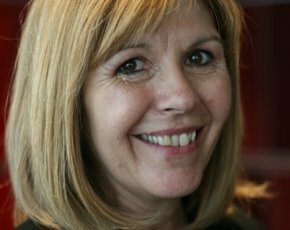 The Labour Party’s Digital Task Force recently named Maggie Philbin as its head, tasked with reporting on why the UK is “falling behind on IT”. But it was in her capacity to promote another project that Philbin spoke to Computer Weekly: Her latest technology venture – TeenTech. Founded in 2008, by Philbin and Chris Dodson, the TeenTech organisation aims to help young people understand the opportunities available to them in the science, technology, engineering and mathematics (STEM) workplace. TeenTech runs one-day events across the UK, offering hands-on exhibits and workshops from businesses and universities. 300 pupils from 30 different schools are invited to each event. She speaks with true passion and an urgency to teach teenagers how to build technology, instead of just consuming it. TeenTech was created out of her own frustration that her daughter was being taught dull and outdated ICT lessons at school, with a careers advisor who did not mention technology careers to female students. She said: “We don’t say that teachers have to bring 50/50 girls and boys, but it tends to end up even most of the time. Describing TeenTech, she said: “All students will do an app design workshop during the day. During our Doncaster event there was a group of girls that designed an app and they are now launching their own app company as a result of that. We always provide a path on where they can take what they have learnt. She said this is why TeenTech tries not to separate subjects, but shows young people how in the business world several subjects can overlap. “We wouldn’t have a workshop on how to be a doctor, but we would show the students how to use the technology and tools as a doctor. So, we had hip bones and explained the maths, engineering and radiology technology used on them. To be a doctor it needs a fusion of design, engineering, technology and biology,” she said. The biggest TeenTech so far was held at the Copper Box in the Olympic Park for 500 12- to 14-year-olds.